Those years of high school really flew by, didn't they? And now your son or daughter is going off to college. Pat yourself on the back and take a high five, because they didn't do it alone! And honestly, they still won't. But the kind of help and nudging they receive now will take different forms. They'll have an advisor, peers in study groups, professors as mentors, and supervisors at an internship that will help them grow and mature into a self-sufficient and well-rounded adult. 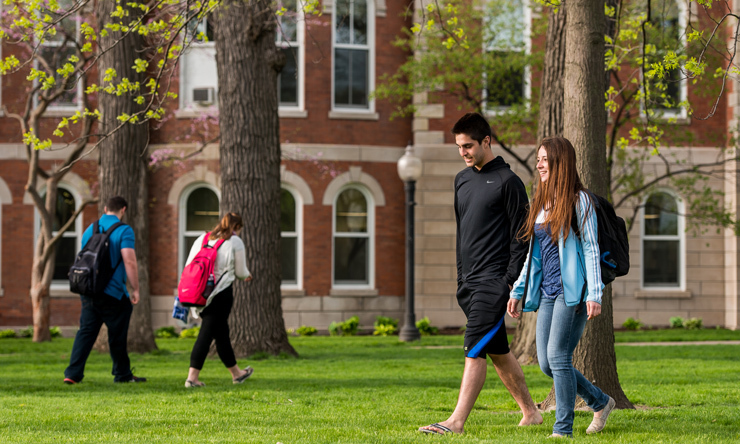 For the most part, you can learn what being an Ambrosian is all about through the Undergraduate Admissions website. However, there are some topics that you, as parents/guardians, might find particularly interesting and helpful as you take these steps to college along with your child. Want to stay on top of campus happenings? Sign up to receive the monthly AmbroseZine eNewsletter. A residence hall is more than a place to live. 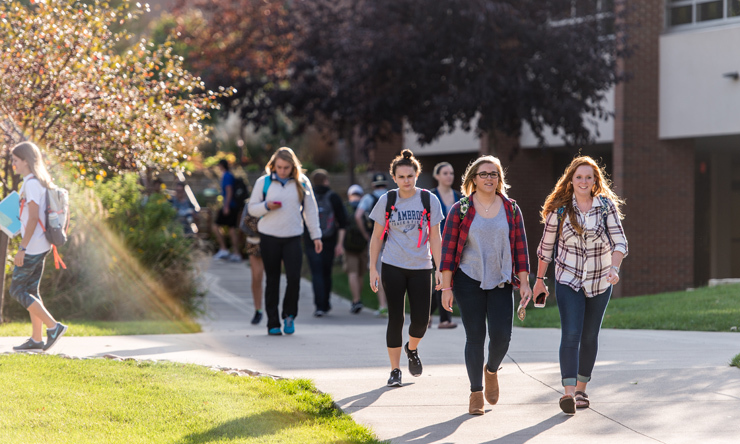 Students living in our comfortable residence halls participate in recreational, educational, spiritual, and cultural programs that contribute to their overall growth and personal development. In addition to accreditation by the Higher Learning Commission, we also retain several specialized accreditations as well. 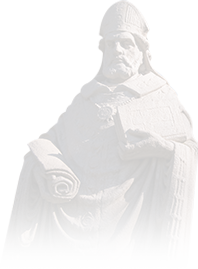 St. Ambrose offers more than 60 undergraduate majors and programs! This enables you to personalize your studies early when you apply for college admission. SAU appreciates the strength, persistence, and grit of first-generation students and all they contribute to our campus community. 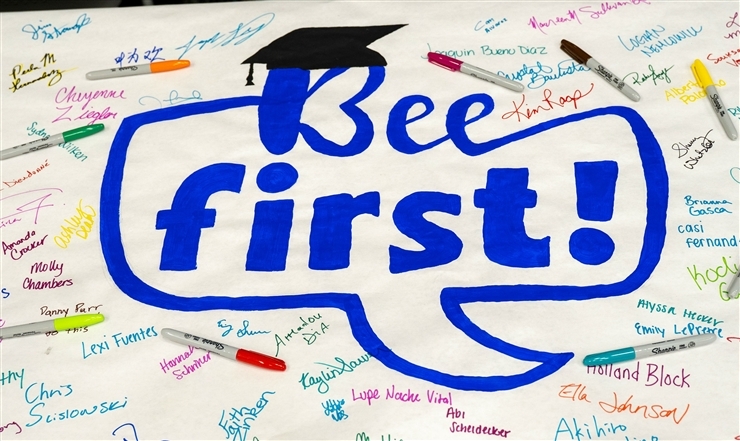 In 2018, we celebrated National First-Generation Day to recognize 320 current students who will 'Bee First!' in their families to earn college degrees, as well as 90-plus faculty and staff who also earned that distinction. St. Ambrose University's Residence Life works with selected external vendors in providing additional amenities to our residents. You can read about those under Linens and Lofts and Care Packages. Moving to a residence hall will be a new experience for you and your child, so we've also provided a helpful packing list. Halogen lamps; toasters; pets (except fish); candles and incense; pizza cookers (and other open burner items); homemade lofts; and shower caddy (those that hang on shower heads). Residence hall rooms contain extra-long beds (36" x 80") which require extra long linens to comfortably fit the mattresses. Student Services has an agreement with an outside vendor to provide these linens through Residence Hall Linens and Bedding. Students will receive a letter and order form in the mail during the summer that describes the products and special packages available. Make sure to order by the deadline to ensure linens arrive at home before departing for campus. If your student would like extra space in their residence hall room, consider renting a loft. Lofts are a great way to maximize space and they are delivered to your room so they're waiting for you when you arrive on move-in day. Students wanting to loft their beds in single rooms in Davis, Hagen or North Hall must use the materials provided in their rooms. Students living in all other University housing must use lofting materials rented from College Products at www.collegeproducts.com/bees. College Products also sells durable futons and safes with delivery for all residence life buildings on campus. Care packages are a great way to let your student know you are thinking of them. Care packages are available for move-in day, Halloween, Valentine's Day, and finals week during the fall and spring semesters. New for 2018-19 is the Healthy Pack, available throughout the academic year. You will receive a letter in the mail during the summer that describes the packages; order by the deadline so your student is sure to receive their care package. St. Ambrose works with Basket Bowtique, a privately-owned gift shop in Cedar Rapids. All packages are handmade, individually wrapped, and personally delivered to campus. Proceeds from care packages help fund programming and community-building efforts by SAU Residence Life. Download the pack descriptions (pdf) or pick one up at First Year Orientation. Click here to place your order online or view all packages. Purchase a single care package or get a discount with either the Ambrose Plan – which includes all five packages (minus the Healthy Option) – or the Ambrose Healthy Plan – which includes the Move-In Pack plus four Healthy Option Packs – for $114. For more information, call the Residence Life office 563-333-6258 or send an email. The Healthy Option Pack ($23) is new for 2018-19 and comes in a white, reusable box. This package cannot be ordered in place of the Move-In Pack or Ambrose Plan. This pack can be delivered at any time of the year; use the deadlines for the above packages to determine order and delivery dates.